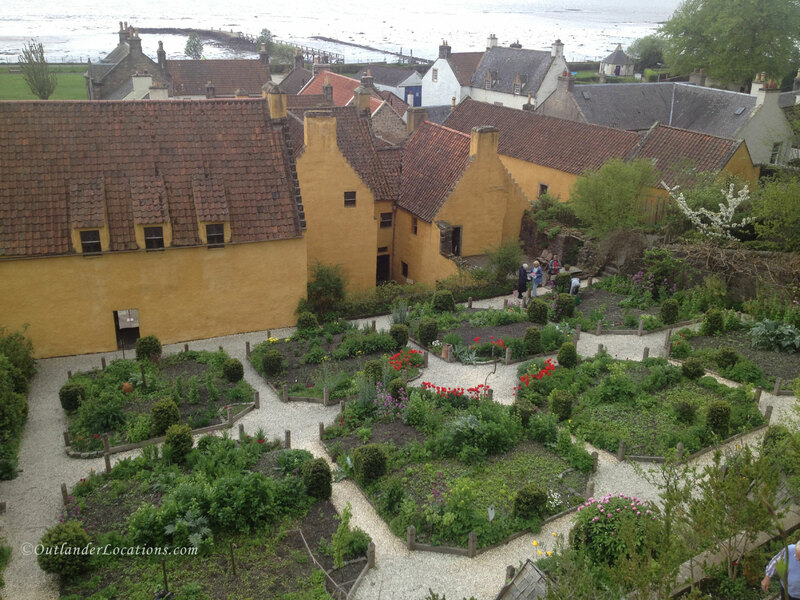 Culross Palace, one of our favourite Outlander locations, was built between 1597 and 1611 by Sir George Bruce, the Laird of Carnock. Although never an official royal residence, it was visited by King James VI in 1617. It is now owned and cared for by the National Trust for Scotland. 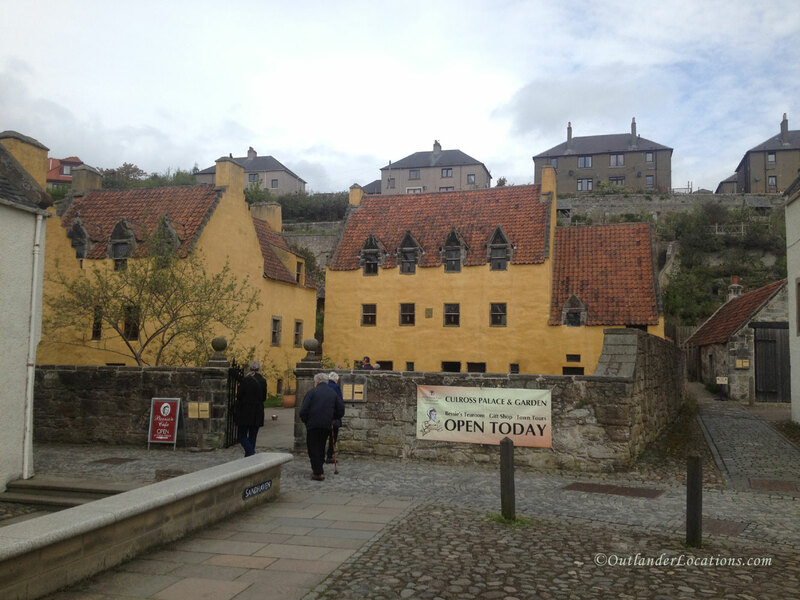 Outlander fans who know Culross Palace will be aware that it has been used for filming several times. Appearing in seasons 1, 2 and 4, its rooms, courtyard and gardens have been used to great effect in many scenes. 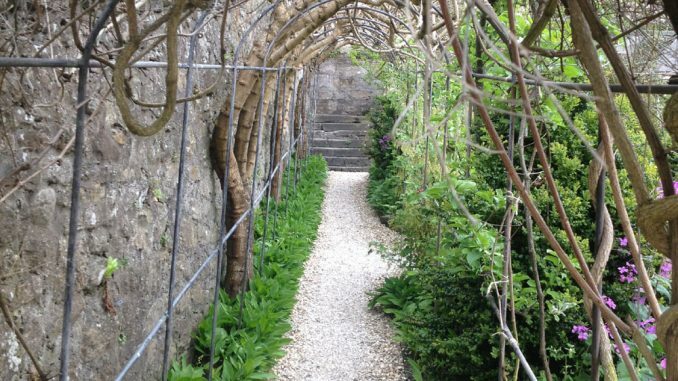 It is first seen in season 1 when the palace gardens are used as the herb garden at Castle Leoch. 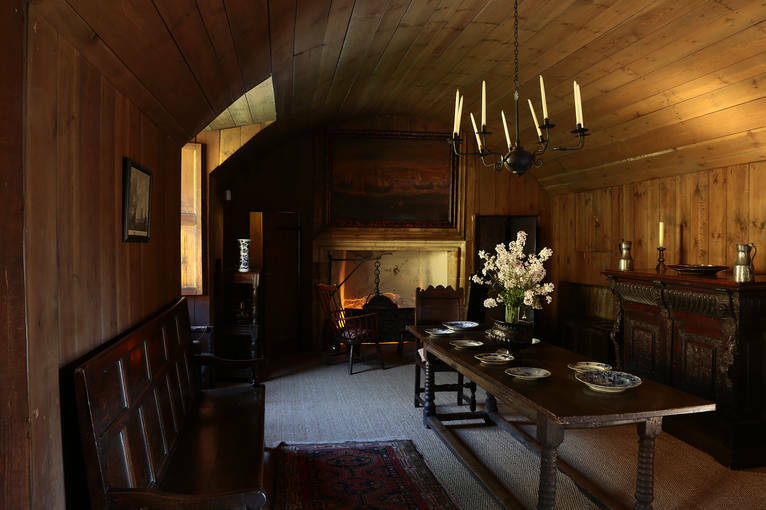 Not long after that we then get to see the palace Withdrawing Room doubling as Geillis Duncan’s parlour. The palace is used again in season 2. 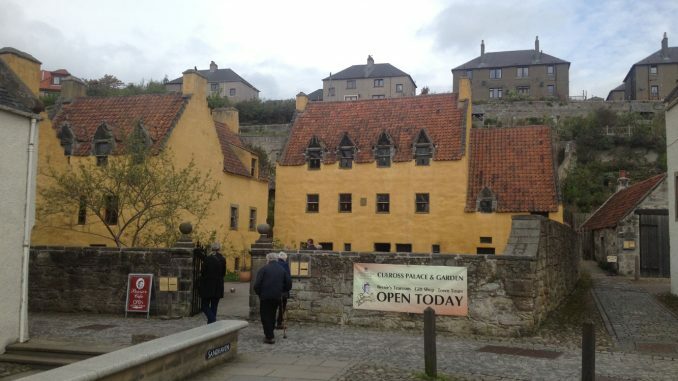 The courtyard and main stairway were used as the village encampment where Claire pulls a tooth from a local woman and Murtagh waits on Jamie who is meeting with the Prince. The Palace High Hall was used for the Jacobite meeting where Jamie swears his oath to Prince Charlie. 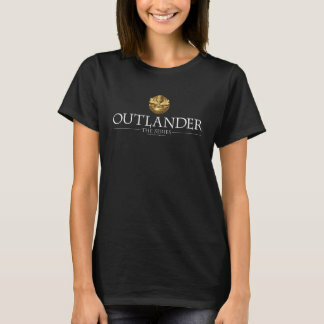 The Palace’s Kings Room was used as for a bedroom scene when Jamie and Claire’s visit a village. The Palace’s Kitchen and Pantry was used as a tavern. Arriving at the palace it is immediately recognisable as having been used for the Jacobite encampment in season 2. It’s not difficult to picture the hustle and bustle, while Claire works pulling teeth. Inside the palace you can turn left or right. 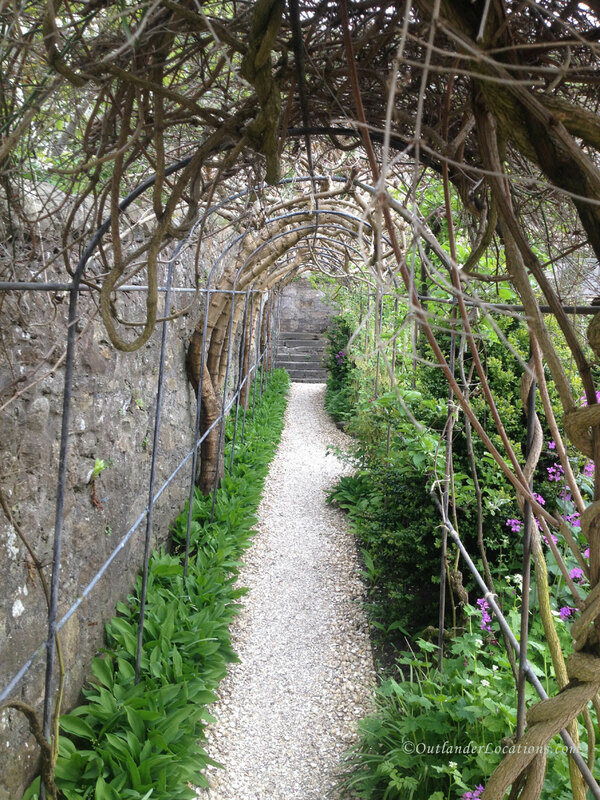 Either direction, you are in an Outlander filming location. 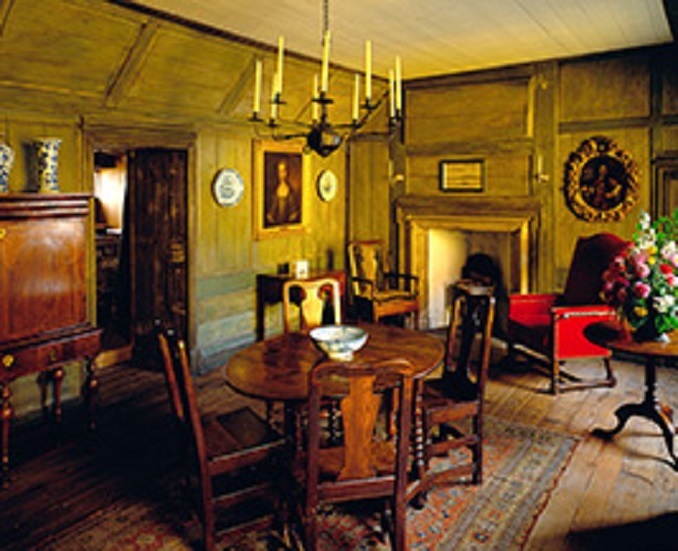 To the left is the palace Withdrawing Room that was used as Geillis Duncan’s parlour. Then, to the right, is the High Hall which played host to Jacobite meetings, and where Jamie pledged allegiance to King Charles. 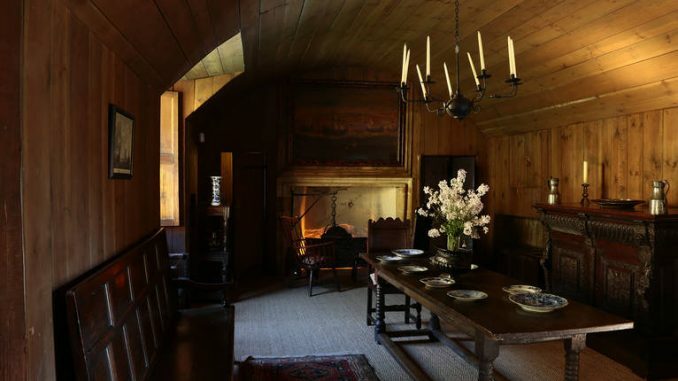 We believe that this was also used as the inside of Laoghaire’s home, where Bree watched as she and Ian argued about Jamie’s money. Behind the palace we found the gardens. 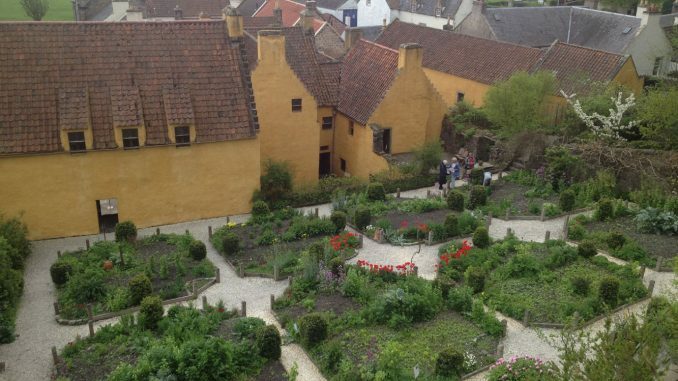 Fans will remember this as the herb garden at Castle Leoch, where Claire talks to and gathers herbs with Geillis Duncan.